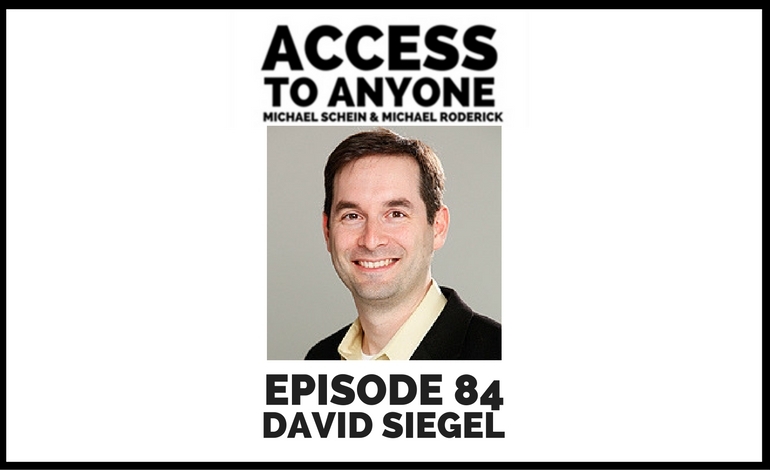 David Siegel is the CEO of Investopedia – the biggest financial and investment education site in the world. In today’s episode, David breaks down his one-of-a-kind approach to management, and how he’s using it to transform Investopedia. He also talks about what it really means to ask less and give more, explores the true power of one-on-one conversations, and reveals why leading with genuine curiosity is the best way to make connections and build meaningful relationships. David Siegel is a digital media executive with over 18 years of experience leading organizations through innovative product development, rapid revenue growth and traffic acceleration. He most recently served as President of Seeking Alpha, a crowdsourced investment research business with over 4 Million registered users. There, he oversaw all U.S.-based functions – sales, marketing, product and business development. Under his leadership, digital media sales grew by 30% and subscription sales by over 300%. Prior to Seeking Alpha, he served as the Senior Vice President and General Manager of Everyday Health’s Local Division, which connects consumers to health care professionals. Leading a large team, for the fastest growing division of the company, he built out specialty content sites, directories and marketing services for physicians, payers and hospitals. David was previously the Senior Vice President, Strategy & Corporate Development for 1-800-Flowers.com, overseeing strategic planning, business and corporate development, marketing strategy, partnerships and analytics. Prior to that role, he served as GM, New Businesses at Duane Reade. David has worked as a strategy consultant for Deloitte Consulting and William M. Mercer and as the Director, Organizational Development for DoubleClick. David holds a BA in Philosophy, Politics & Economics from the University of Pennsylvania, and an MBA from The Wharton School.